First, there were rumors of a royal romance between a prince and a Hollywood actress. Then came the stunning engagement news, and a flurry of excitement and speculation that lasted for six months. 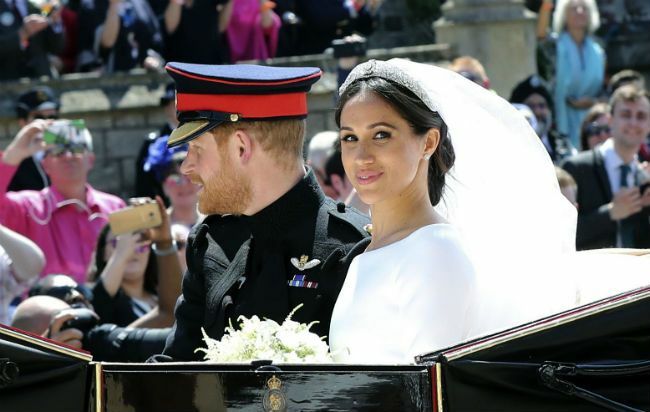 But when the day finally arrived for Prince Harry's royal wedding to Meghan Markle, it turned out to be even more beautiful and magical than anyone had expected. With celebrity guests, heartfelt moments and that kiss, it was a day that will be remembered for years to come. We always knew that Harry and Meghan’s guest list would feature less world leaders than his brother’s wedding - since he’s so low in the order of succession. Instead, like Harry and Meghan’s relationship, it was a nice blend of Hollywood royalty and real royalty. 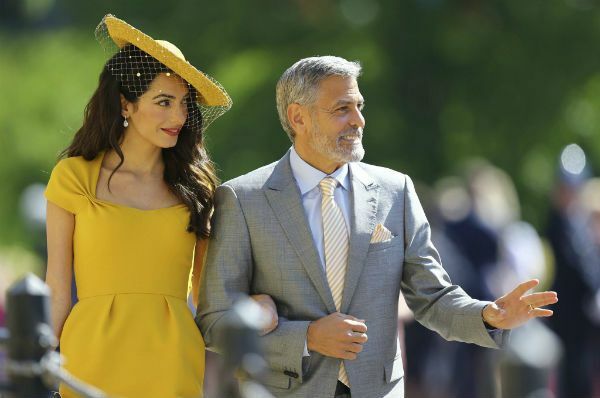 George and Amal Clooney looked bright and cheerful in matching yellow outfits, while David Beckham and his wife Victoria (Posh Spice) looked dapper in dark colors. Two of Harry's ex-girlfriends, Chelsy Davy and Cressida Bonas, were on hand for his big day. And so was talk show host Oprah Winfrey. 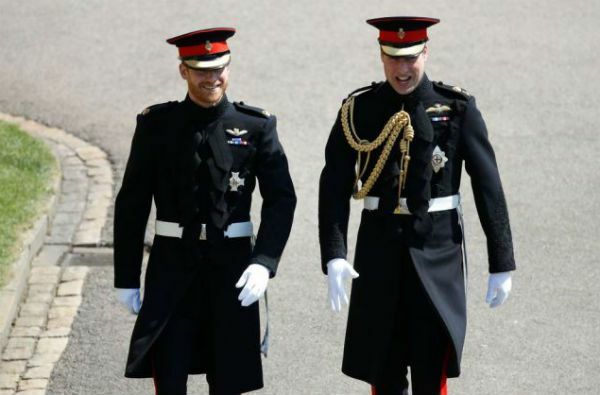 After Harry acted as Prince William’s best man seven years ago, Harry's older brother returned the favor today. 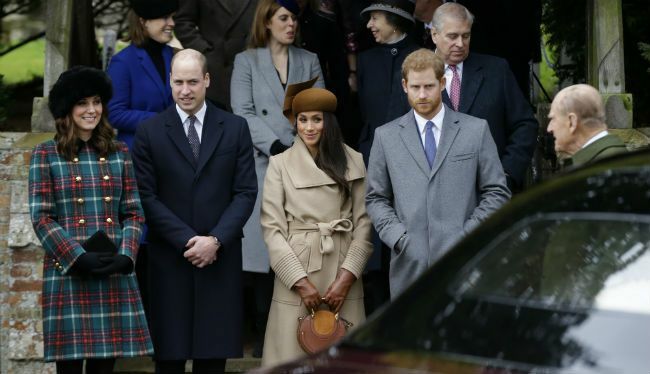 The pair received an enthusiastic greeting from thousands of well-wishers at Windsor Castle, including hundreds of representatives from charities supported by the prince. 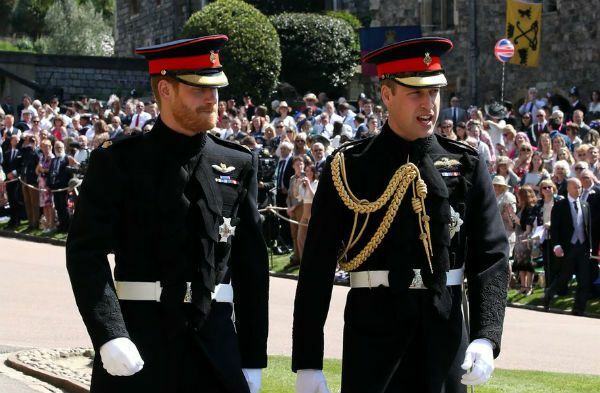 And one of the day’s fashion mysteries was finally solved: Harry and his brother both stepped out of his car in the uniform of the Royal Marines, a group he became the honorary commander of just last year, replacing his grandfather Prince Philip. 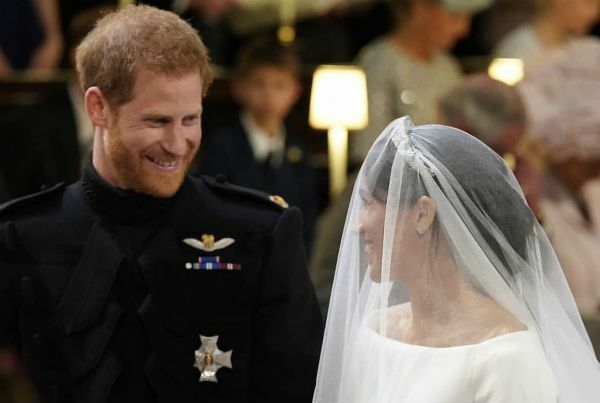 Harry also turned heads by sporting a beard on his wedding day, not a breach of protocol but definitely unusual for a royal groom. While she wasn’t the center of attention today, royal watchers still waited eagerly for their first glimpse of Queen Elizabeth. 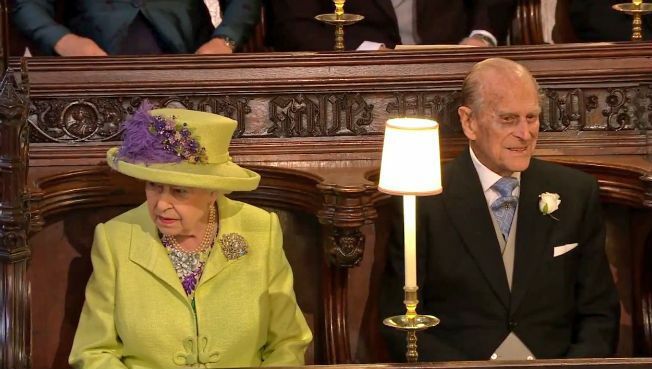 Her royal highness was the last to make an entrance before the bride, and was dressed in pale green with purple accents. 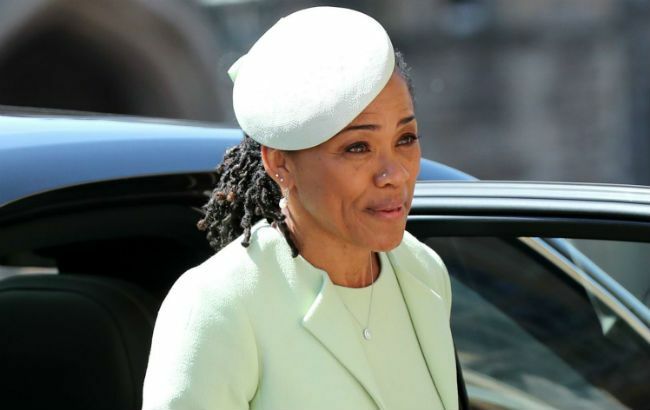 Not only did the outfit follow the queen's tradition of wearing bright colors, it also matched up nicely with the mother of the bride Doria Ragland's outfit. After months of speculation, the world finally got its long-awaited first look at Meghan Markle’s wedding dress. The blushing bride played coy until the very last minute, avoiding stepping out of her hotel room until the cameras were turned away. 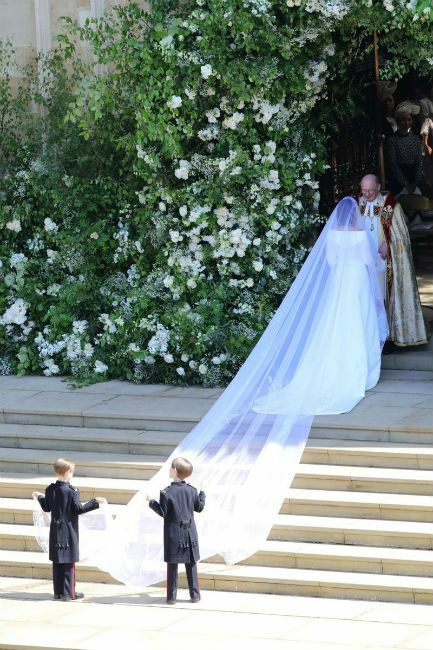 Markle wore an elegant but reserved long-sleeved, off-the-shoulder dress from British fashion designer Claire Waight Keller, with a flowing train and a long veil. She completed the outfit with a sweet but simple bouquet, representing her American heritage. 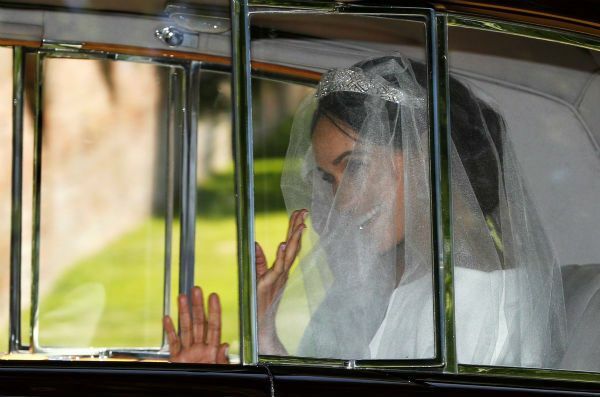 One special feature from her outfit you may have missed: Markle's glittering wide-band tiara, called Queen Mary's diamond bandeau, was loaned to her by the queen for the special day. 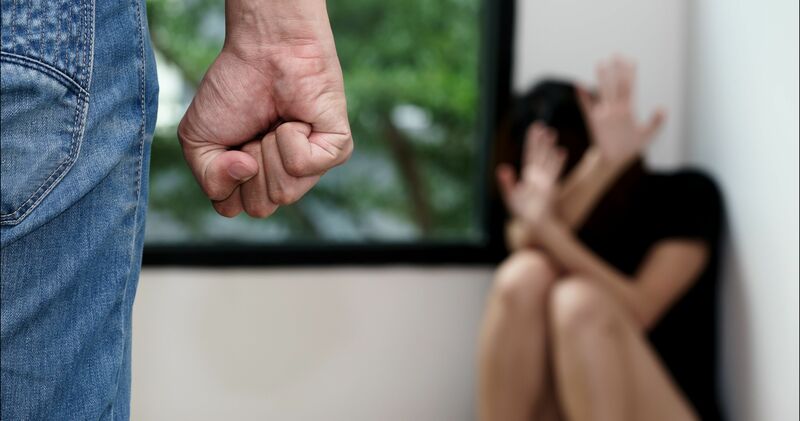 A heartbreaking series of events kept Markle’s father, Thomas, from walking her down the aisle on her wedding day. 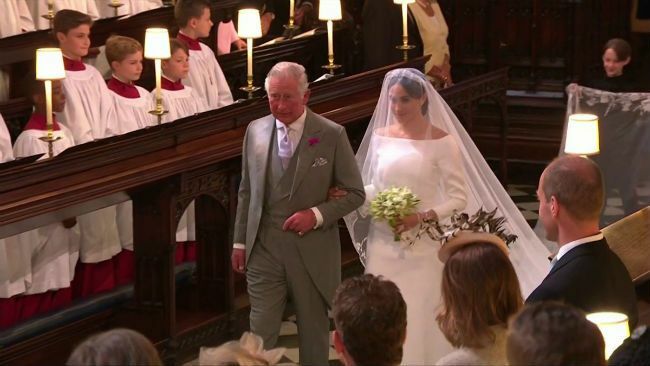 But thankfully, Prince Charles was the perfect replacement, escorting Markle to the altar and walking Ragland out of the church. 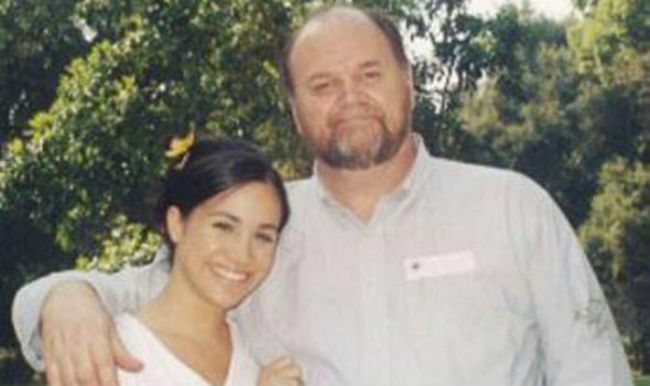 Thomas Markle was caught in a minor scandal a week before the wedding, when it was revealed he had staged a set of viral paparazzi photos. But the story was quickly overshadowed by a heart attack which took the father of the bride out of the ceremony. Just two days before the wedding, Kensington palace announced Charles would be taking his place in the schedule. “I have always cared for my father and hope he can be given the space he needs to focus on his health,” Markle wrote. 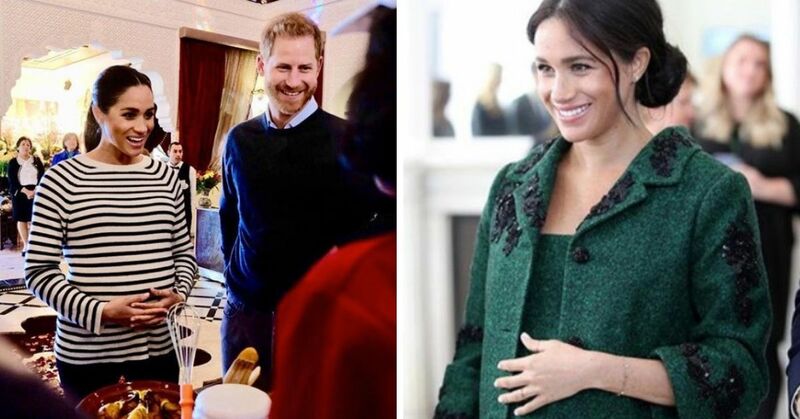 We’re sure Markle wanted to share the special moment with her father, but it was a sweet way for the prince to welcome his new daughter-in-law into the family. 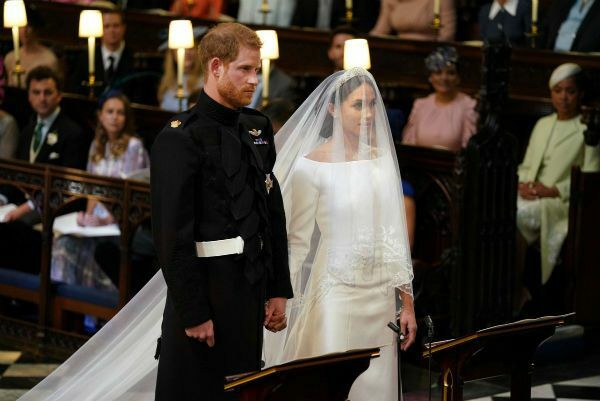 Harry has always said he wanted to pay tribute to his late mother on his wedding day, and in her sister, Lady Jane Fellowes, he found the perfect person to represent her at the wedding. Fellowes famously read a poem at Diana’s funeral in 1997, but has never spoken publicly about her sister’s death. 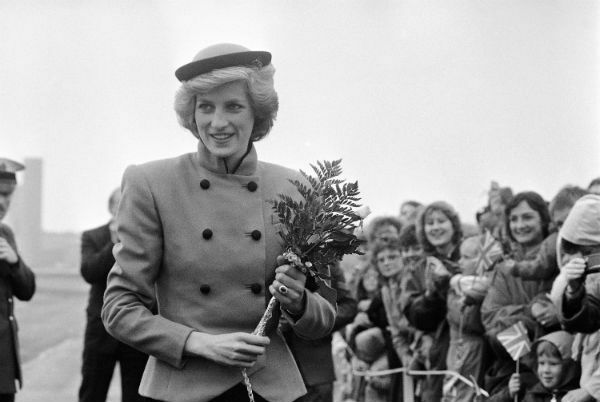 A hymn from Diana's funeral was also played during the ceremony. My beloved speaks and says to me: ‘Arise, my love, my fair one, and come away; for now the winter is past, the rain is over and gone. All three of Diana’s siblings were on hand to watch their nephew’s special day. 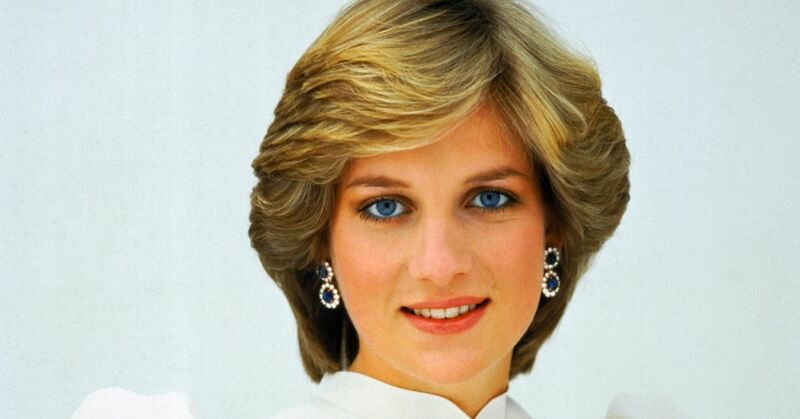 Of course, carrying on Diana’s legacy has always been important to both Harry and William. 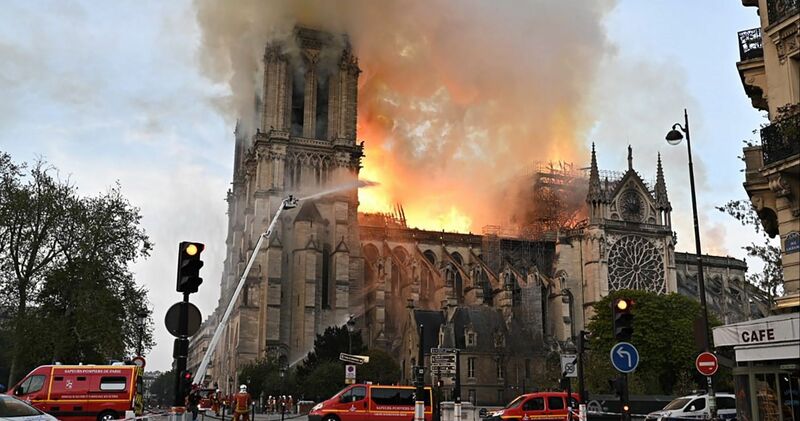 The emotional ceremony was packed with musical performances, including from two organists, two choirs, and three orchestras. But the standout musical moment came from the Kingdom Choir who performed a beautiful rendition of Ben E. King's "Stand by Me." 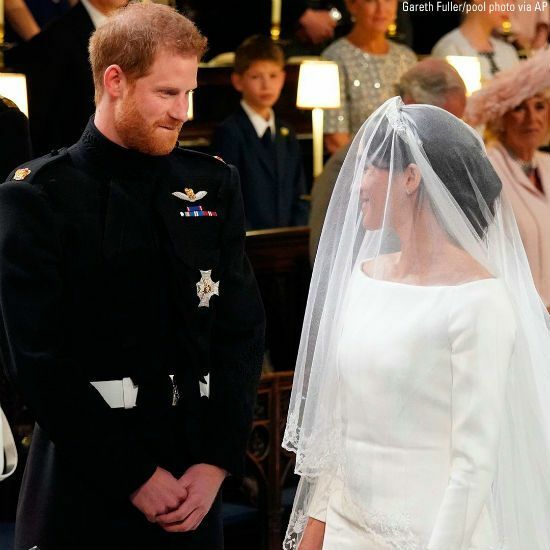 Harry turned to smile at Markle during the ceremony, and since they had a hand in the song choices, the tune probably held a lot of significance for them. The choir also serenaded the couple with "This Little Light Of Mine" as they departed the ceremony. 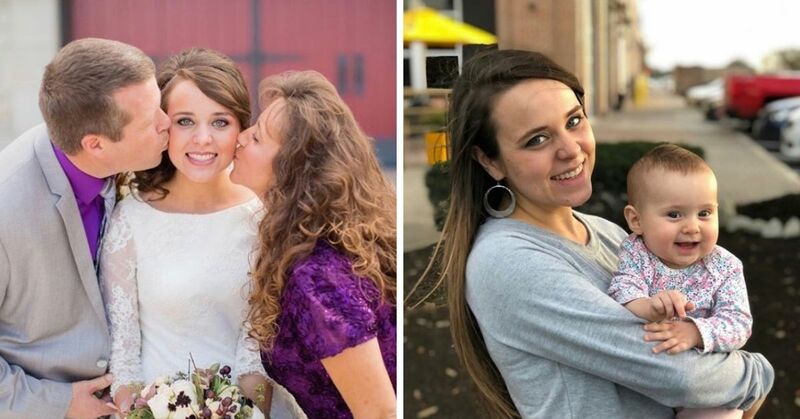 While Markle avoided choosing a maid of honor - she just couldn't pick one person from her tight circle of friends - her wedding party featured the children of her close friends, including her new in-laws. 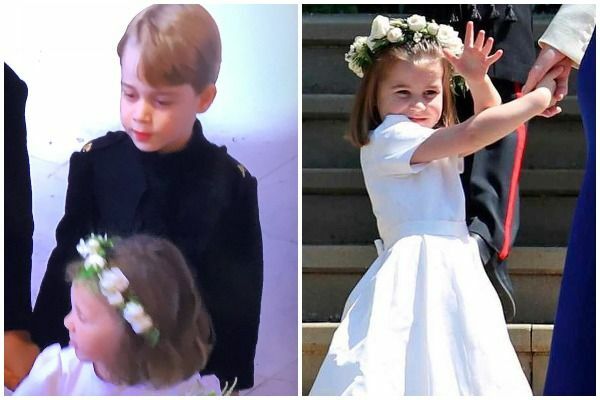 Both Prince George and Princess Charlotte were featured in the ceremony, as a pageboy and a bridesmaid respectively. Of course, this wasn't the first time Prince George has played that part, but he looked a little cheerier than he did at Pippa Middleton's wedding last year. The happy couple were smiling at each other throughout the ceremony, and Harry could be seen wiping his eyes more than once. "You look amazing," he said when she joined him at the altar. "I missed you." But the sweetest moment of all came when it was time for the declarations. 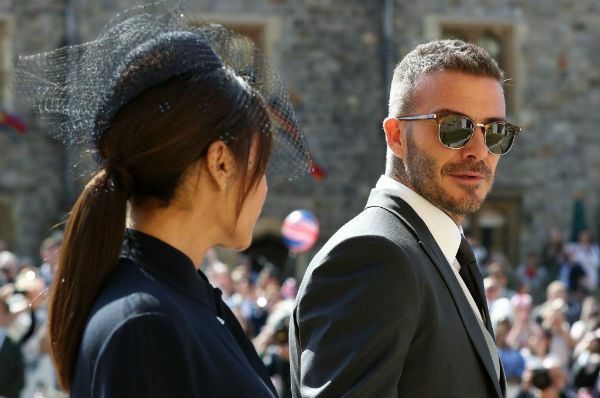 Harry's emotional voice drew nervous laughter from the crowd, and a cheer could be heard outside the chapel when Markle said "I will." 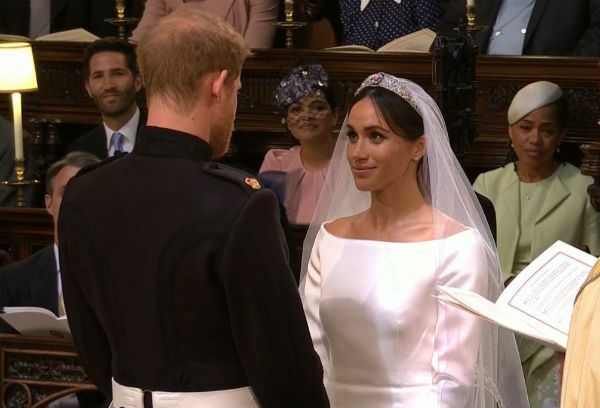 The vows were just as touching, with Meghan and Harry beaming as they promised to love and cherish each other. There's no denying that this was a joyous day for both of them, and it showed in every part of the ceremony. There was no kiss written into the day's schedule, but royal watchers knew to expect one. 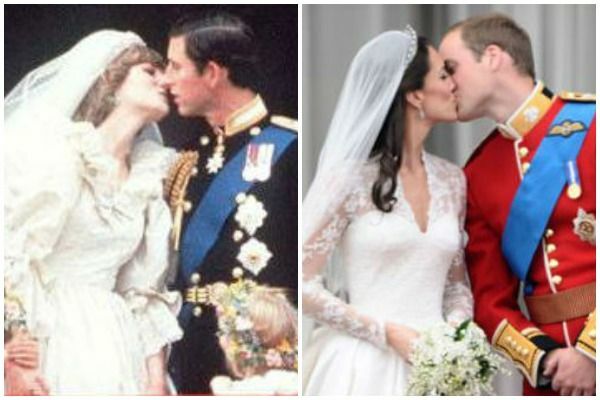 Harry and Meghan were following a tradition set by his mother during her 1981 wedding. 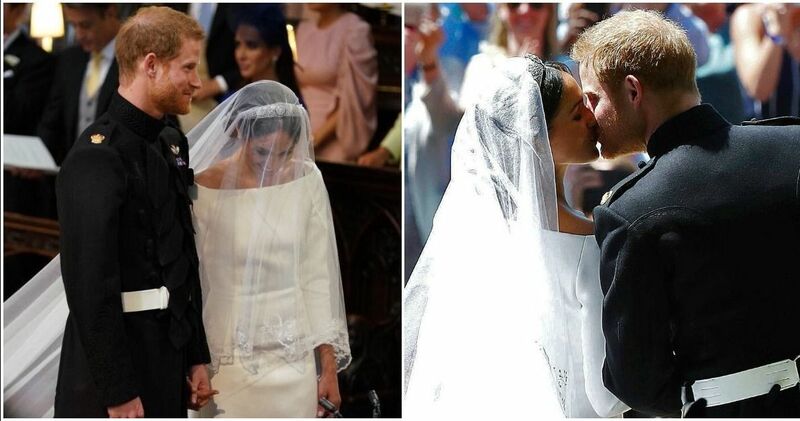 Diana's spontaneous "balcony kiss" was a magical moment that William and Kate Middleton channeled at their own wedding. 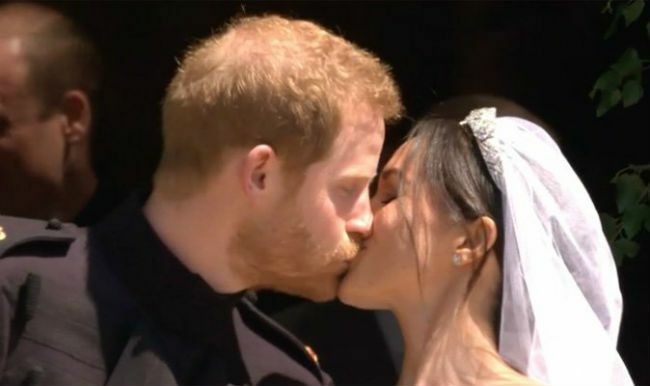 With no balcony handy, Harry and Meghan shared their first smooch as man and wife on the West Steps of Windsor Castle. One of the most romantic royal wedding traditions is the new bride and groom's carriage ride. Harry and Meghan enjoyed a short ride through Windsor town in an open-topped Ascot-Landau carriage pulled by a team of horses. 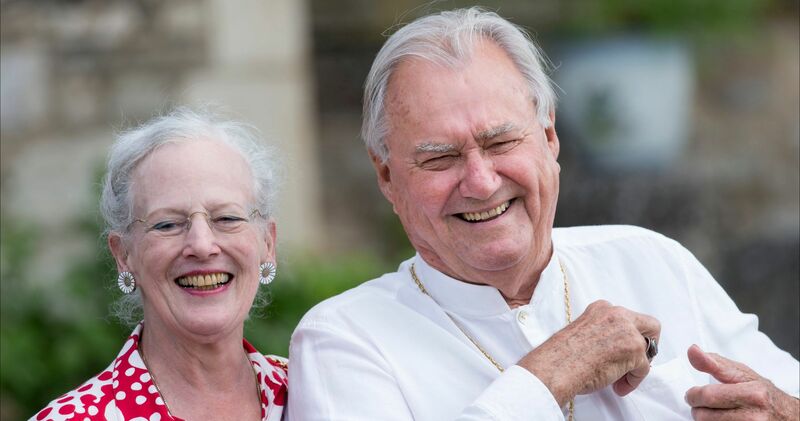 Crowds of people were packed along the route for their first glimpse of the happy couple, and the beaming pair greeted them with smiles the whole way. And they rode off to the first of their two wedding receptions with an amazing gift: new titles from the queen. Harry and Meghan are now officially the Duke and Duchess of Sussex. If you're feeling nostalgic, enjoy 11 never-before-seen photos of Prince Charles and Princess Diana's wedding. 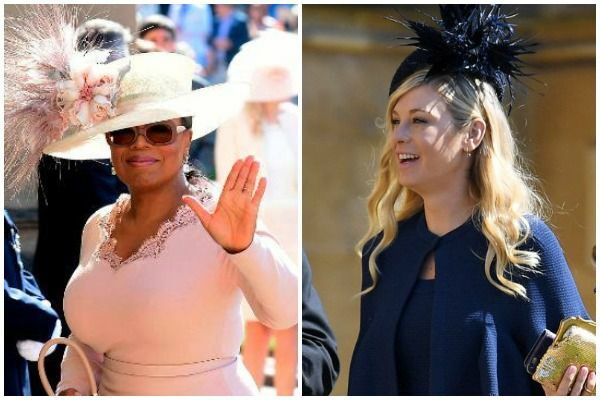 And see how Harry and Meghan's big day measured up to the 31 most beautiful royal weddings.